Solid cast iron double-column OKUMA machine tools ensure excellent rigidity and narrow tolerances. But that isn't the only reason why these tools are used by virtually every automobile manufacturer all over the world. 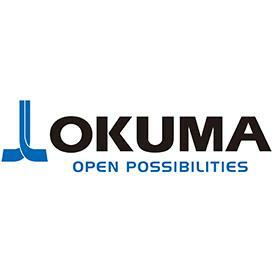 The Japanese OKUMA Group, whose European headquarters are in Germany, is a global leader in CNC machine tools and process optimization. OKUMA is the industry's only one-stop supplier, manufacturing not only the tools themselves but also drives, engines, spindles and CNC control units (OSP). It consistently delivers innovative end-to-end solutions for CNC machine tools, including software and control systems. In September 2019, visitors to EMO Hannover will once again have the opportunity to experience the company’s expertise for themselves. OKUMA's double-column solutions are firmly established, particularly in the automotive industry. Machines such as the MCR-BIII and the recently launched MCR-S can be found at almost every automobile manufacturer worldwide, where they are used primarily to make molds for bodywork manufacturing - a process that places particularly strict demands on dimensional accuracy. The molds also need to have very smooth, clean surfaces. As the manufacturing process for such molds can take several days, workpieces are susceptible to discrepancies caused by temperature changes and other external influences during production. OKUMA is addressing this issue with specially tailored applications and functions. These make it possible, for example, to minimize the volume of heat generated and to largely compensate for thermal distortions. What's more, the hyper-surface process promises to deliver outstanding surface quality by automatically capturing machining data and correcting it as and when required. This boosts overall quality and eliminates the need for manual reworking.